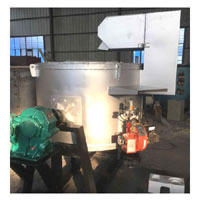 Aluminum melting machine is widely used for the melting and keep warm process of the Low melting point non-ferrous metals, such as aluminum, copper, zinc, lead, tin, cadmium and other alloys,The Main Types of furnace is divided into 1:Induction aluminum melting machine 2. resistance aluminum melting machine,users can choose any types according to the details requirement. Aluminum is the most commonly used non-ferrous metal today, other than iron. Our aluminum melting machine is designed specifically for the purpose of melting lower density metal, employing exactly the right temperatures and evenly distributing the heat. This type of melting furnace is easy to casting aluminum at home,foundry. 2. Resistance Technology Adopted, Much lower power needed. 1. Melting capacity range from 10kg ~ 5tons. 3. Easy Operation and installation system designed, no need onsite commission. 1:Energy saving, environmental protection, safety, no pollution, no noise, no open flame, greatly improve the working environment. 3:The operation process is simple and reliable. 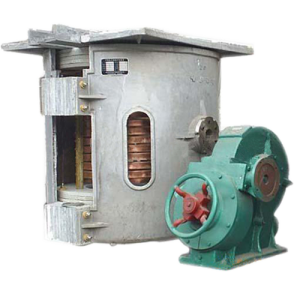 5:Fast Melting temperature and easy to control the temperature, and the production efficiency is high.